Dianne Walzer is a CPA and has been with Cooper Arias, LLP since 2010. She earned her Bachelor of Science in Accounting from SUNY New Paltz. 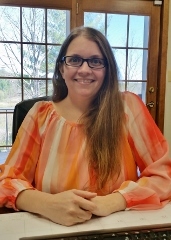 Danielle Fratto is a Tax Supervisor and works out of our Middletown and Mongaup Valley offices. She has a Bachelor of Business Administration from Pace University and has been with Cooper Arias, LLP since 2008. Margaret Quimby is an Audit Manager at Cooper Arias, LLP. She earned her Bachelor of Science in Accounting from SUNY New Paltz and has been with the firm since 2005. Margaret is also a member of the New York State Society of Certified Public Accountants.